You asked, we listened. 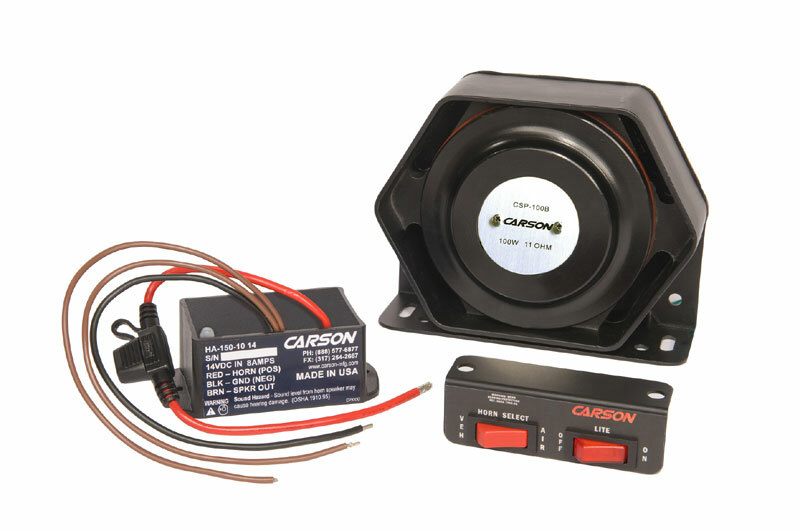 Carson Manufacturing has the answer for volunteers to be seen and heard. These loud and legal* audible warning solutions give you the sound and switching options needed for the POV market. This is a great option in states that don’t permit volunteers to operate sirens. Our electronic air horns give courtesy a boost. If you work in a state or region that restricts POV siren use, then courtesy is really all you can rely on when responding to emergency calls. 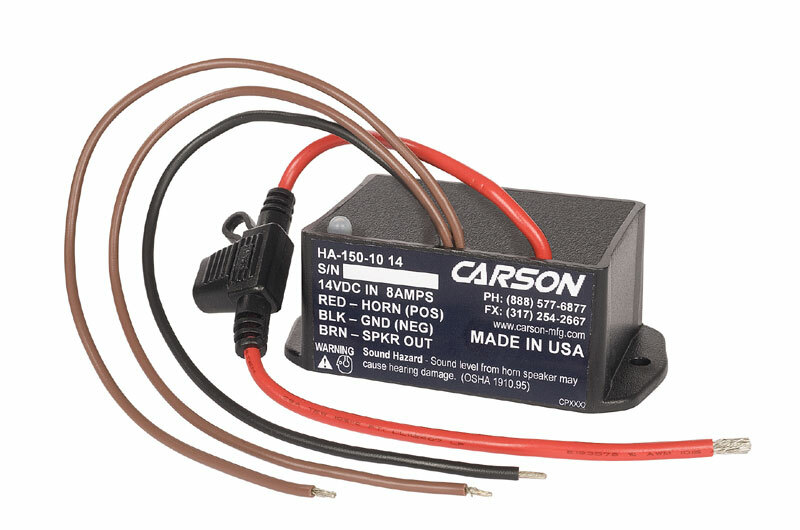 The HA-150 Under Hood Stutter Horn Amp gives courtesy a boost by providing a loud and legal*, all-weather, audible warning component to your POV light package. *Legal in most states. Please consult your local/state vehicle codes to ensure compliance with vehicle horn regulations.